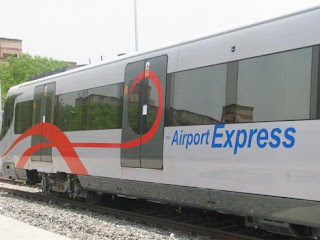 Trains to the airport in Delhi??? Alleluia...for this is the city where I had two of my most terrifying taxi rides....traffic in that city is extraordinarily bad! Check out my blog post on bad Taxi rides and my wishlist for good service. 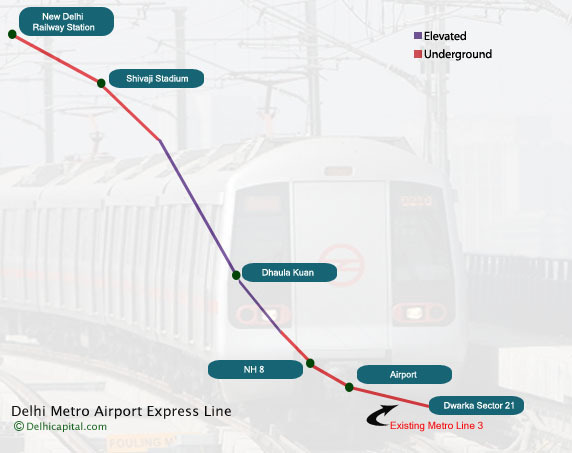 The good news is that of yesterday Delhi has an Express train to the airport taking passengers from Connaught Place (centre of New Delhi) to the International Airport (23km) in 18 minutes. Cost 80 rupees ($1.80). Trains run 6am to 10pm but that will change with trains expected to run later in the night. Check-in at stations is expected to begin next month. The bad news is that its late (was meant to be open for last year's Commonwealth Games), and two stations have not been built yet It will make a very welcome addition to arriving into India. Now can we get Auckland, Dallas, Dublin, Honolulu, Los Angeles, Melbourne and Toronto to get their airport train links?